Three days ago the Israeli Right wing paper The Jerusalem Post published an exposé of the growing tendency of Orthodox Jews in Jerusalem to spit on their Christian neighbours. (‘Mouths Filled with Hatred’, By Larry Derfner The JPost, Nov. 26, 2009). Similarly Father Athanasius, a Texas-born Franciscan monk who heads the Christian Information Centre in Jerusalem’s Old City, said he’s been spat at by Orthodox Jews “about 15 times in the last six months”. Interestingly enough Jewish spitting has had an impact on the European urban landscape. The following can be read in a ‘Travel Guide for Jewish Europe’. But times are changing. In the Jewish state most Jewish inhibitions seem to have disappeared. In Israel Jews can spit as much as they like and on whatever they like. As we read above, in the Jewish state it isn’t just Christian symbols that are being spat on, it is actually the Goyim in general. Far more concerning, it isn’t even just kosher saliva. It is actually everything they may find at their disposal: saliva, live ammunition, bombs, missiles, WMD, white phosphorous, you name it, they spit it. 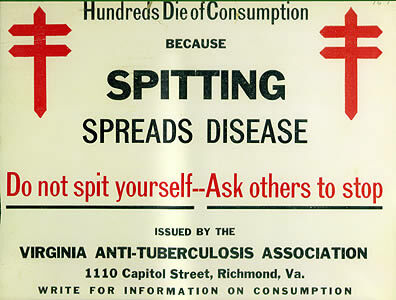 In fact, spitting is not the problem. Spiting is just a symptom of a deeply imbued cultural categorical dismissal of ‘otherness’ that distinguishes Israel as a criminal state. It is also this very dismissal of ‘otherness’ that stops the Israelis and their supporters around the world from understanding the level of resentment that is mounting against any form of Jewish nationalism. Hatred is a form of blindness. Jewish hatred, that is culturally, religiously and spiritually orientated, is also a form of deafness. This may explain the tragic consequences in which nationalist Jews fail time after time to internalise the criticism leveled against them: against their politics and culture. This may explain why Jews fail to grasp what is the root cause of ‘anti semitism’. Rather than being reflective and engaging in self-mirroring, the nationalistic Jew would insist that the problem is always somewhere else. As interesting as it may be, Zionism was the only modern serious Jewish collective attempt to amend the cultural abnormalities within Jewish culture. Early Zionism took anti Jewish criticism seriously. It committed itself to bring about a civilized ethical person. Zionism obviously failed completely. Yet, till the 1980’s some fading voices of “humanist Zionism”, people who wanted to see the Jews setting themselves into a peaceful nation living amongst others, could still be heard in occupied Palestine. It may also explain why the most radical and effective voices against Zionism and Jewish nationalism, are in fact people who were a product of Zionist upbringing (Shahak, I. Shamir, Sand, Burg and a few others). In the late 1970’s a young dissident movement led by an Israeli Refusenik Gadi Elgazi protested against serving in the occupied territories. “Occupation Corrupts” Elgazi said. He was sent to prison repeatedly. Elgazi and his supporters maintained that controlling other people would have a devastating impact on the Jewish state and its morality. They were obviously correct. Through the years Israel has become a criminal collective, complicit in genocide. With 94% of its population supporting the IDF measures in Gaza, there is no room for doubt, Israel has no room amongst nations. As if this is not enough, the level of crime within Israel is also soaring. The rate of homicidal crime is rapidly growing and it seems as if no one there knows how to tackle the problem. Elgazi’s predictions proved to be a prophecy. The occupation turned against the occupier. Interestingly enough, it didn’t take long before Jewish cultural hatred towards Goyim and their symbols would turn inward and mature into an internal Jewish war where Jews do spit on each other. The tension within Israel’s Jewish communities is rising by the day whether it is the rapid rise of poverty or the rising social division between Israeli Jewish communities. Seemingly, there is a growing unresolved tension between the secular and orthodox Jews in Israel. As much as Jews can hate the Goyim, nothing is comparable with the way and manner in which they despise each other. Channel 4, the brave British broadcaster that just 10 days ago exposed the cross-party Jewish lobby operating in the UK, did it again. The Battle for Israel’s Soul is an exposé of the feud between Jewish communities in Israel(1). Just like in the case of the occupation that turned eventually against the Israelis, hatred towards Goyim made the Israelis into a vengeful collective. Naturally it didn’t take long before the Israelis would start to spit on each other. My message to the Palestinians is actually very simple. Give the Israelis time. They do not need enemies. With the level of self contempt they carry in themselves it is just a question of time before they totally implode.